« Still can’t draw a straight line! Broken spindles? 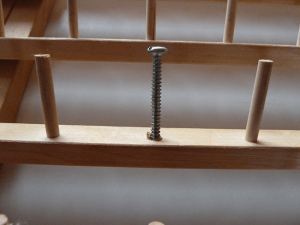 How to fix your thread rack! 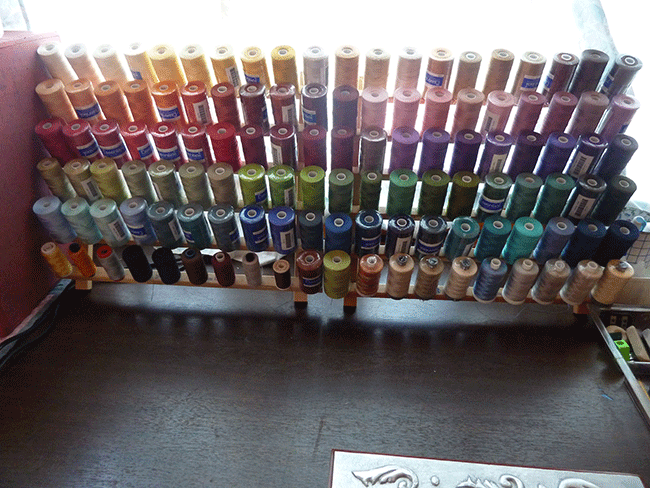 For my smaller spools of thread I have two June Tailor racks that sit on a table next to my sewing machine. Quite unfortunately, when I purchased the second one it arrived with one of the spindles broken off. I tried gluing it back on, but it just wouldn’t hold. 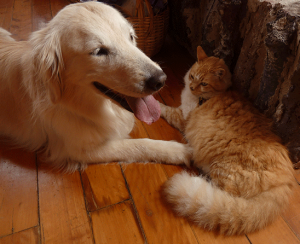 And sending it back was not an option, given the high shipping charges from Ecuador. So I decided to just live with it. Who? Us? We never fight! 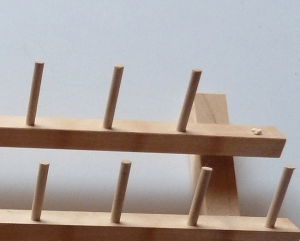 When I picked up the thread racks, I found five additional spindles had broken off. What a waste! I had to find some way to fix them, and wondered if a nail would do. NOT! But a screw will! Not only that, it is probably sturdier than the spindle was in the first place. … and the thread has been put back on. 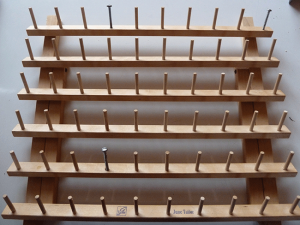 I have these types of spool racks as well, just 2 of them like you apparently and found that the little poles break off easily. It just doesn’t take much at all. While I love the screw idea and will definitely do it next time, what I did with mine was to drill a hole where it broke off at and added some plastic ones I had from old sewing thread racks (I use to use a 8 spool and a 16 spool martha pullen comes to mind for some reason on that) and then I used my glue gun to glue them in with. While they are in storage currently that did actually work, but then I guess not everyone has a drill. 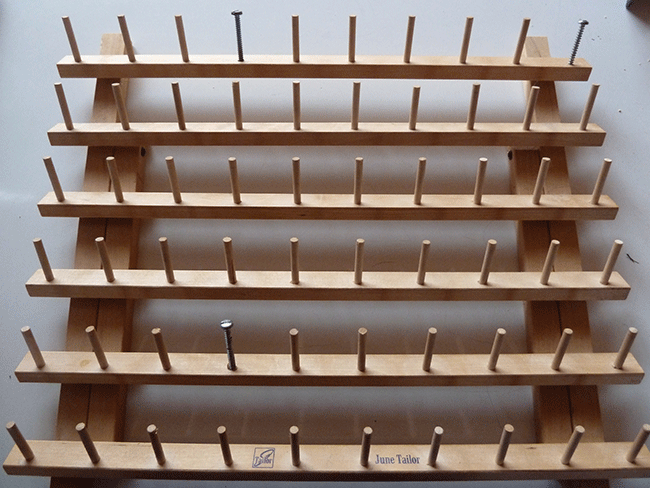 I have a drill only because I find that these cheap cupboards/bookcase like shelves you can buy will often have the shelves little holder break, so I buy some L shaped type things and then put them on better with those so the shelves won’t fall off and they hold much better.